Just a quick message to say thank you for hosting such a fantastic tasting. It was amazing and wish I could have come back for the second day. I really enjoyed [the fair], and the whole day was great on the stand too, lots of great feedback! Well done on another year! The atmosphere was great. I was impressed by the fair’s cool atmosphere and so many nice people meeting together. We found the event to be extremely well organised and thought there was a particularly vibrant atmosphere. The fair was great, especially the second day, so many good people had so many good questions. I loved it. Thanks a lot for the invitation! Thanks to give us the opportunity to present a small winery like ours at this great place in London with Les Caves. Merci!! From the heart. Amazed once again with the power of Real Wine Fair. There is no such place with so many interesting growers, costumers and diversity!!! Congrats for the brilliant organization, I felt very comfortable all the time! It was so fascinating and the vibe was so positive over those two days! Thanks for a fantastic Real Wine Fair, it was great! It was a great experience for me, I met good people and get some opportunities in UK and few other countries. Thank you for your invitation and for allowing me those great moments. 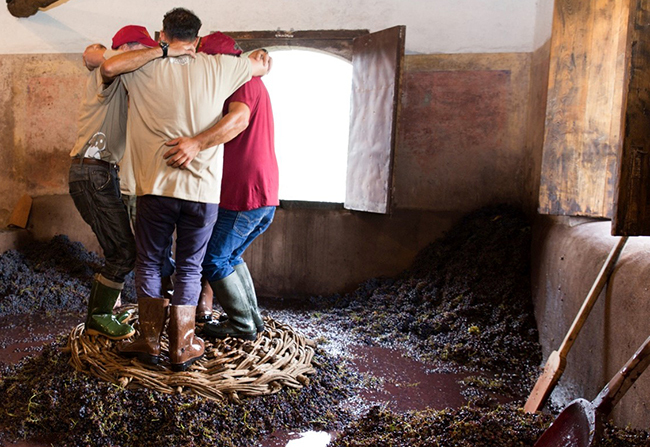 We love what we do, we love our international community of fellow winemakers, and we love sharing our wines with all of you. Thank you Doug Wregg and everyone at Les Caves de Pyrene for bringing us all together in London! On behalf of the Mas de Daumas Gassac’s team and the Guibert family (and probably our new president Emanuel Macron as well!!!) un “Grand Merci” for another magnificent Real Wine Fair!!! At a time when standardization seems to be the main trend, it is not only refreshing but also invigorating to see that there are wines, food and most importantly people who remain not only authentic but also dedicated to keep this world as diverse and as creative as possible! The Real Wine Fair success is a true tribute to this dedication and the amazing work you are all accomplishing. Phenomenal event as always. I can’t say enough how much I enjoy spending time with your crew – what a fantastic bunch. You guys continue to inspire us to think bigger, and find more ways to be receptive to all things that will help us be better. Thanks to you and the whole team. It was a great fair. Thanks once again for a wonderful event. As always, we were packed and had amazing feedback. Another great Real Wine Fair over the weekend. Well done …everyone involved – and the producers of course. We all had a blast and were very impressed with the high level of organisation. Thank you SO much for the great two days at RWF. It was so enjoyable and hugely productive for us. 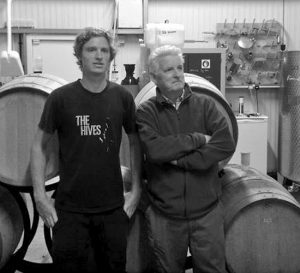 We were overwhelmed with the interest in our wines and our project. People were so positive about both. It was just such a fantastic opportunity for us – we can’t thank you enough. That was absolutely a fantastic visit. We can’t tell you how much we love London. It’s becoming a special place for us. The response we got from the wines was amazing, as well. It is both an honor and a pleasure to be a part of what you’ve created; I can’t thank you enough. I look forward to raising a glass with you all again soon! Thank you again for such a wonderful event. You and your team are incredible! Thank you so much for putting on such an incredibly memorable fair. 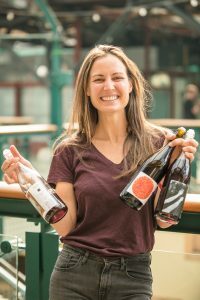 Les Caves is really an amazing company–the work that went into the fair and real wine month in general is truly impressive. I had such a wonderful time! And I could definitely feel a palpable sense of community. Thanks so much for a great event. mdrorick mentioned you in a comment: Huge thanks and high fives to @lescavesdepyrene and the whole @realwinefair crew for an amazing time. Honored and humbled to be a part! Taylor St Baristas @Taylor St: We hope the hangovers were mild after the excellent 2 days at Real Wine Fair. So many great wines in one location, it was almost too much. @LeCaveau1: It was an amazing show guys! 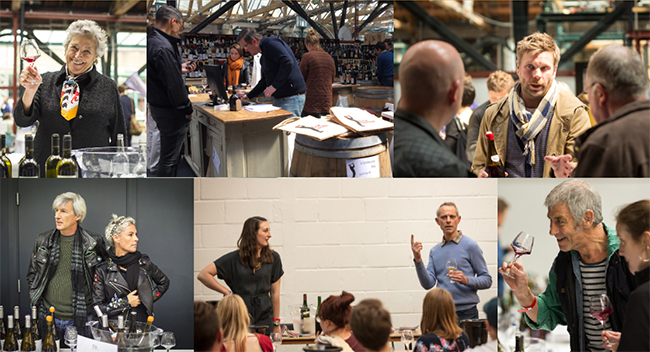 The growers, wines, food, your brilliant team, the 4 pop ups… you rocked London for 2 days & nights! Niamh Shields @eatlikeagirl: Super interesting day tasting wines at the @RealWineFair. I only wish I could have gone both days. Tried terrific wines from La Garagista. Fantastic day @RealWineFair. Passion, flair and flavour. Thanks to @Spanish_Dave1 for the introductions! 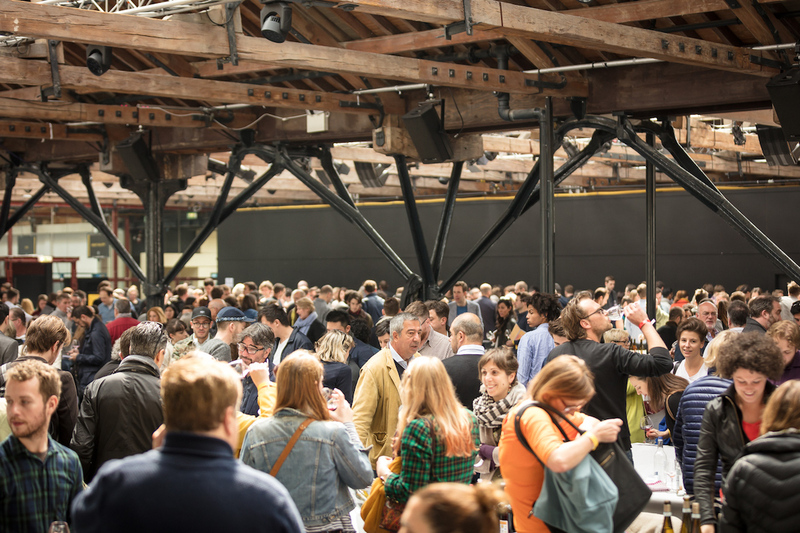 TheCharcuterieBoard @CharcBoard: Want to say a big thank you to @LesCavesPyrene and @RealWineFair for making us feel so welcome over the weekend. Great to be among friends. Le Caveau Wine Shop @lecaveau2: It was an incredible fair, especially when experienced with so many of our team! 2019 is too long to wait. Forty Hall Vineyard @fhvlondon: Great couple of day’s @RealWineFair soaking up the passion & produce of some great #artisans! thanks for letting us be a part of it! Jose Quintana @thejosequintana: Thanks @RealWineFair for a really super sprinkling of wine. @organicwineuk, @daniviticultor and @ComandoGarnacha especially awesome. Le Caveau Wines @LeCaveau1: It was an amazing show guys! The growers, wines, food, your brilliant team, the 4 pop ups… you rocked London for 2 days & nights! 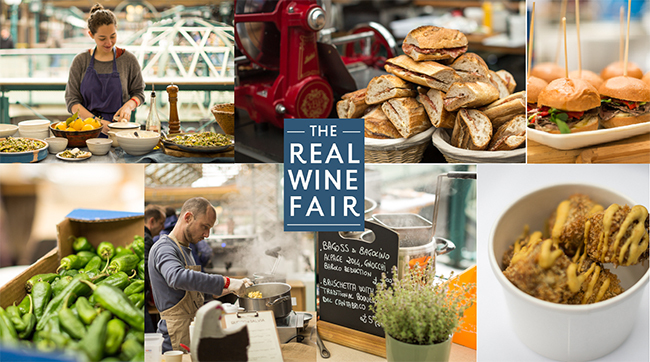 Joseph Benjamin @Joseph_Benjamin: @RealWineFair – learnt & tasted A LOT! Amazing opportunity to sample so many unique wines. akers and Larners @bakersofholt: Our fine wine experts are at London’s @RealWineFair and @englishwine event. A truly grand setting in celebration of our artisan winemakers. SHED LONDON @SHED_LONDON: Great day at @RealWineFair super love to the natural wine world, what A day! @SpitWine: @RealWineFair the only place to be! @gian_luca_tribo: The real wine fair has proven again to be one of the best wine fairs I’ve visited so far. Very well organized, enough space and time to talk with the wine makers. I’m very pleased as well to see Austrian producers: Andreas & Ewald Tscheppe, Sepp Muster, Michael Wenzel, and Claude Presinger showing some of the best wines I tasted at the fair. @cartsofmoseley: Thanks to @realwinefair for a great couple of days!! @bedaleswines: The lighting was wine tasting appropriate, so here is a picture of the beautiful & perfectly selected setting of @realwinefair. Thank you all, and we can honestly say that we wish you were a permanent fixture. See you next year! @holger_riegal: Great first day of real wine fair in London today. Thank you amazing guys for such a wonderful experience. @ob_wine_kenobi: Being lucky enough to work with both amazing wine and awesome beer, I get to go to the best wine fair in the world (@realwinefair) one weekend then the best beer festival (mbcc2017) the next….